Surrounded by mountains in southwestern Colorado, Durango is the perfect High Country town with a ski area up the road, the Indian mesa country an hour away, and a gold-medal trout stream running right through town. 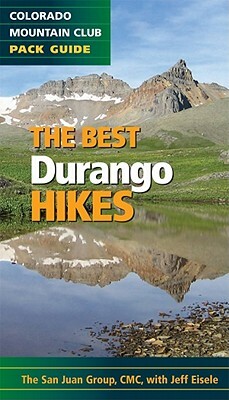 But that doesn't say anything about the fabulous hiking around Durango that includes the widest variety of hiking terrain to be found anywhere in Colorado -- from high desert loops to easy town hikes, or peak bagging in the San Juan Mountains. The difficulty levels of the hikes range from easy walks -- including the wheelchair-accessible Big Al Trail -- to challenging ascents of such notable summits as Engineer and Hesperus mountains. The Best Durango Hikes is all you need (plus the 10 Essentials) to hike around one of the great mountain towns of Colorado.